In high school Bernice (LisaGay Hamilton) and Fontayne (Yolonda Ross) were so close people said they could, “go for sisters”. Years later, it would seem they couldn't be father apart. Bernice is a hard-nosed parole officer who doesn't have time to listen to her clients' excuses. She hasn't seen Fontayne in years, the two women having long since gone their separate ways. And then one day, Fontayne walks into Bernice's office as a client. She's a recovering addict who got caught at the wrong place with the wrong people, but as she explains to Bernice, where she lives, just about everyone in the neighborhood and every place she might go is a potential parole violation. Bernice lets her old friend off the hook, but also lets Fontayne know that she will ask to have her reassigned to another officer. Things don't quite go that way, though. When Bernice fears her son might be in serious trouble with some shady characters, she turns to Fontayne for help. Fontayne, who is actually serious about trying to get her life back on track, wants to help but worries about violating her parole to do so. And so Bernice crosses the line, promising to cover for her old friend if she can help get her son back. Eventually it becomes clear that further help needs to be enlisted, and the two women hire legally blind former police officer Freddy Suarez (Edward James Olmos) to help when it becomes apparent they'll have to cross the border into Mexico to have any chance of getting Rodney back alive. It certainly sounds like the plot for a thriller or noirish crime film, and to some degree GO FOR SISTERS fits in those boxes. Really, though, it's more about the characters and the ways the experiences they go through transform their world views than any sort of generic tropes. There are no high speed car chases or drawn out gun battles; what violence there is, is sudden and brief. And there are no contrived twists or even much of a mystery, just a straight forward story of a mother who would do anything to save her son, and how the act of doing so makes her realize some of her own faults, in turn making her more forgiving of the faults of others, while also commenting on the American prison system, illegal immigration, 12-step programs, and other topics, all without being clunky or strident about any of it. 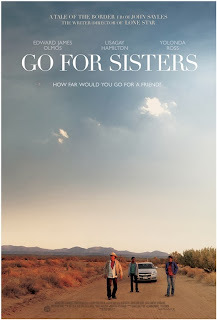 GO FOR SISTERS is written and directed by John Sayles, one of the godfathers of independent film as we know it. He got his start back when independent film was essentially a synonym for exploitation pictures, writing screenplays for Roger Corman's New World Pictures. He then used the money he earned on those jobs to make his debut feature as director, 1979's RETURN OF THE SECAUCUS 7. Since then, Sayles has tackled a wide variety of stories, but always with the same focus on character as seen here. 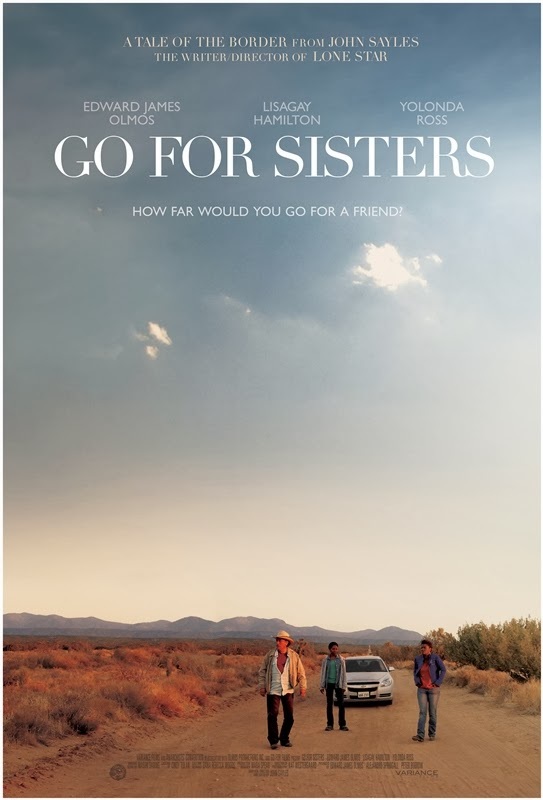 SISTERS couldn't be further from the sort of formulaic middlebrow crap that thrills the crowds at Sundance these days, nor is it some impenetrable art film aimed only at the hipster crowd. This is an authentic, thought provoking, and genuinely entertaining film that should have no problem playing for wide audiences, and probably would if Sayles had just sold his script to Hollywood and let them make it with another director and bigger stars. But then, it almost certainly wouldn't have been as good. 3 1/2 out of 4 stars. I really admire Sayles also but haven't even heard of this or that it was playing in town. Thanks for the heads up.